One year has passed and there are some changes. However, most of the plans available to you are still out there. But some of the plans on floating interest rates might start to look attractive. The current fixed deposit rates for 12 month duration varies from 0.25% to 0.35%. This time round, I tried arranging them according to which I think are the low hanging fruit, follow by the more attractive ones. Hurdle accounts are accounts that pays you higher interests between 0.8% to 3.55% if you manage to bank a lot of services with one bank. The level of services differs from banks to banks. Their aim is to get you to bank as much with them as possible. The following table shows the level of interest you can earn, if you credit $4,900/mth in salary, spend at least $550/mth in credit card and one more service. Given that you satisfied these hurdles, you will get to earn the above bonus interest. There is a maximum amount that the interest is applied on. This also differs from bank to bank. The able above shows if your earning, spending is as such Maybank and Bank of China (BOC) might be the highest interest deal. However, if you only can satisfied 2 hurdles, in this case a salary credit and spending 500 on the credit card, then DBS and BOC looks good. The $500 credit card spend can be a high hurdle, especially for you if you are trying to keep your expenses down. If you are a freelancer without fix salary credit, then the best account is UOB One Account, because it does not require salary credit. Note: The banks can change the terms and conditions to earn the bonus interest easily, so this interest is not cast in stone. Citibanks unique savings account is not new. It was around last time when I compiled the 2017 list. However, I couldn’t add it in on time. However, I rate this account higher than the rest below because short term interest rate is starting to get volatile. However, it is also a bit complicated. To earn this higher interest, you need to maintain a minimum balance of $10,000. So it is not for everyone. However, if you qualify for this, this interest scheme applies for the first $150,000. However, the fall below is $15,000 for Citibank (meaning you have to maintain a balance of more than $15,000). Thus, the minimum initial deposit looks to be $15,000. #1 is the base interest. This is computed based on 80% of the 1 month SIBOR. 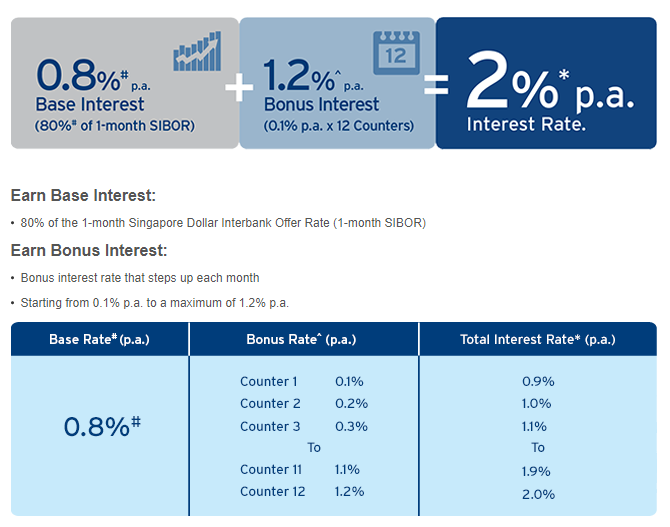 So if today the 1 month SIBOR is 2%, then the base interest is 1.6%. 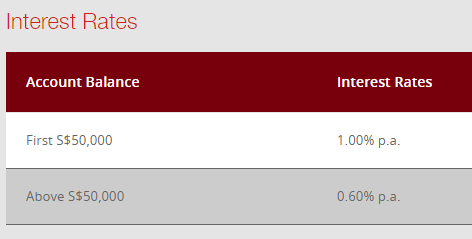 If it is 0.5%, the the base interest is 0.40%. So this base interest will fluctuate month to month, depending on the 1 month SIBOR. 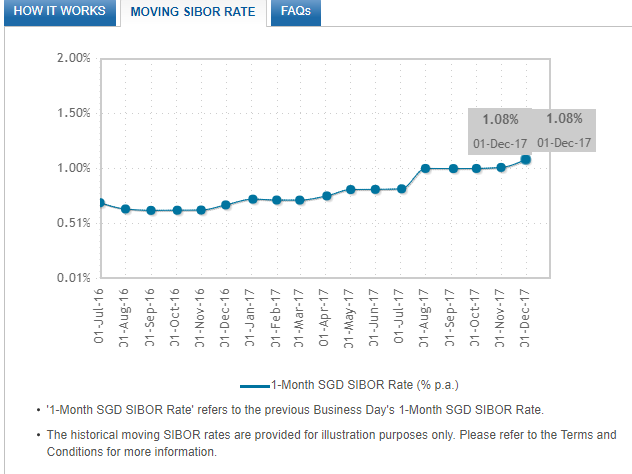 Citibank publishes a delayed version of the 1 month SIBOR. You can see in recent months it has been increasing as expectation of interest rate rises increases. Currently, at the time of writing it is at 1.12%. So 80% of this is 0.896%. Not bad for a base rate! #2 is the bonus interest. Basically there are 12 counters of 0.1%. These counters increase 1 per month. So for the first month it is 0.1%, second month is 0.2%, then 0.3%….. to 1.2%. This is provided you maintain $15,000. If any point, your deposit falls below the previous month, the counters are reset. Thus, what they are making you do is to keep your money in Citibank and don’t take it out. Also note that it doesn’t mean you earn 1.2% from the first month. You have to slowly build up. Your interest earned will also count as increment to increase the counter, so you do not need to deposit new money into the Maxigain account. If we add #1 and #2 together your interest could be from 0.996% to 2.096% at the end of 12 months. 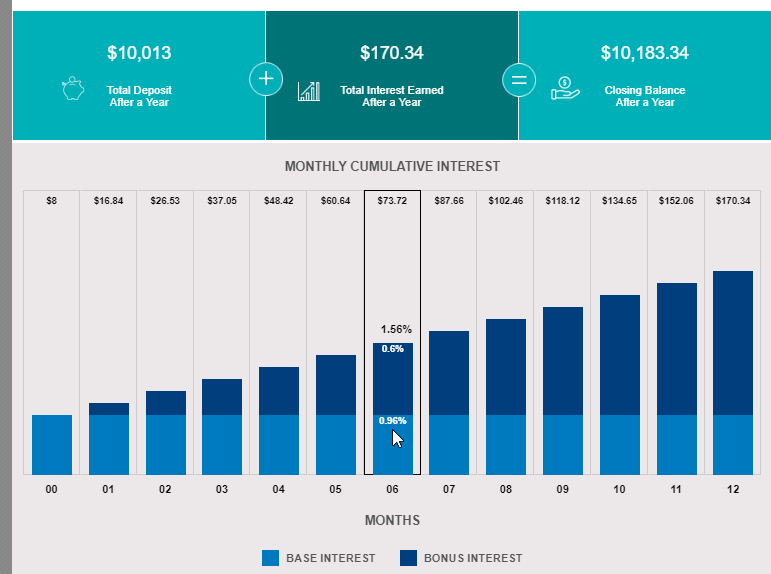 If you seed the counters after 1 year with the minimum, you can then add more money in, in 1 year time to enjoy potentially 2.096% interest. The average interest during the first year is probably 1.5%. After 1 year (if Citibank does not kill it) it is probably closer to 2%. 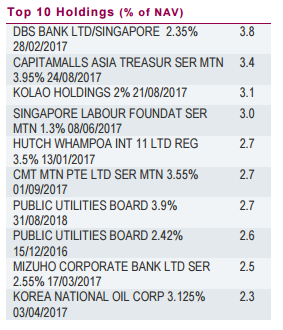 Singapore Savings Bonds was the last item last year, but I decide to bring this up because its getting more appealing. The Singapore Savings Bonds is a wrapper that allows you to own Singapore Government Bonds, which are AAA rated. The appeal of SSB now is that the 1 year duration interest return have reached 1.55%. If you hold on for 1 year, you can earn 1.55%. If you hold on for one more year, the second year you earn 1.57% (follow the first row). If you held this SSB issue for 10 years, each year you earn an annualized 2.04%. This makes it a very unique instrument to hold the funds you do not know when you will come to use. Compare to one year ago in 2017, the 1 year yield to maturity is higher (its 1.05% in 2017). The unfortunate thing is that there is a maximum cap of $100,000 in SSB you could own. The CIMB FastSaver is one account that will give you 1% per annum. It is rather no frills. The minimum deposit is $1000 and you can apply online and then transfer money into this account. This may be the reason why it is so popular. While you can earn 1% for the first $50,000, beyond $50,000 you get to earn 0.60% which is pretty nifty. Although you get to kick start by contributing $1000, you do not have to maintain a minimum of $1000 in the account, which makes this a pretty good emergency fund sometimes. The FastSaver have been a default second account after the hurdle accounts for a lot of people. One channel that is seldom talked about in financial blogosphere are money market funds. These are unit trusts which primarily invests in short term instruments, fixed deposits and like instruments. I will not say they won’t lose money in the short term, but their job is to provide predictable short term savings. You can purchase these money market funds from online fund house like Fundsupermart. You will need to open an account with these fund houses. Whenever you want to purchase, you would buy the money market fund, then transfer the amount to the platform. Fundsupermart also have a Cash Fund, which gives you some interest as well. From the table above you can see the total returns. These returns listed are annualized, which means it is the compounded returns you earn per year. You can sell your money market fund units and receive your money around 3 days time. Compared to 2017, returns have improved for the money market funds, but not by a lot. Let us take a look at the two unit trust in detail. Lion Global Money Market Fund was started in 1999 and it is one of the more dependable money market funds in Singapore. I have known this unit trust since I was exploring what are the stuff that can give me guaranteed returns higher than fixed deposits. The fund will invest in high quality short-term money market instruments and debt securities. Some of the investments may include government and corporate bonds, commercial bills and deposits with financial institutions. Its returns were much higher last time. This is because the fixed deposit rates were higher then in the early to mid 2000s. What you get from these money market funds are better than what you will get in fixed deposits. While interest rate on this fund looks to be low at 1%, if interest rate picks up, this fund will do well. My experience with this fund is that its always better return than fixed deposits. To me, this is something that I find it difficult to live with. If I can earn after expense return of 1.2% for the Lion Global Money market fund, I have to deduct 0.2% for its platform fee. My return will work out to be 1%. This is still equal to that of CIMB FastSaver, with no limit how much I can put in. I really have to treat this as a form of short term savings that keeps my liquid funds that earns something much better than the traditional fixed deposits. If I keep looking at the costs, I will never put my money into this unit trust. The Philip Money Market fund was started in 2001 and also develop a reputation next to the Lion Global Money Market fund as a place to park your liquid money. 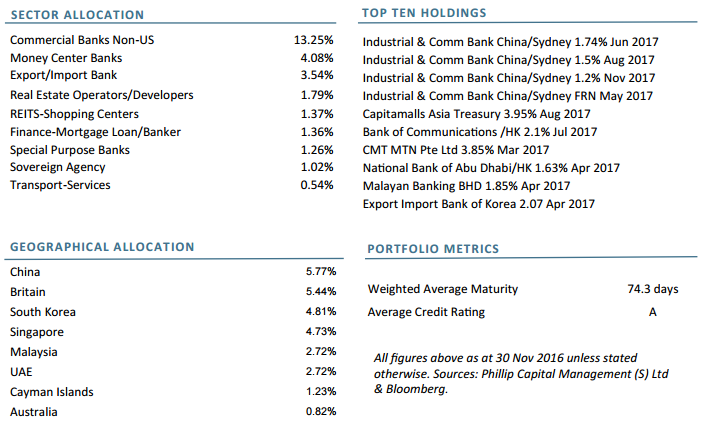 From the composition, you can see that to get better returns, these unit trusts have been pushing into short term notes that have very short maturity (CMT MTN, National Bank of Abu Dhabi). They do run the risk that Capitaland Mall and a national bank will default on the note, thus impairing the capital you thought it will be safe. The risk is extremely small, but still possible. The Phillip fund have a higher expense ratio. It will take a lot of rewiring for me to look past that high expense ratio to put my short term funds into something like this. HI, thanks for the interesting breakdown. You did not mention the transaction fees for the SSB, which are SGD 2 on buying and selling. Not much, you say, but…. This could make SSB unattractive for somebody who regularly saves say SGD 1,000 per month and then withdraws the SGD 12,000 after one year. The transaction fees of SGD 48 would effectively wipe out most of the interest. I did not mentioned that. For MMFs it’s better to buy on Dollardex or Philips POEMS — both don’t charge platform fees & also no sales charges. 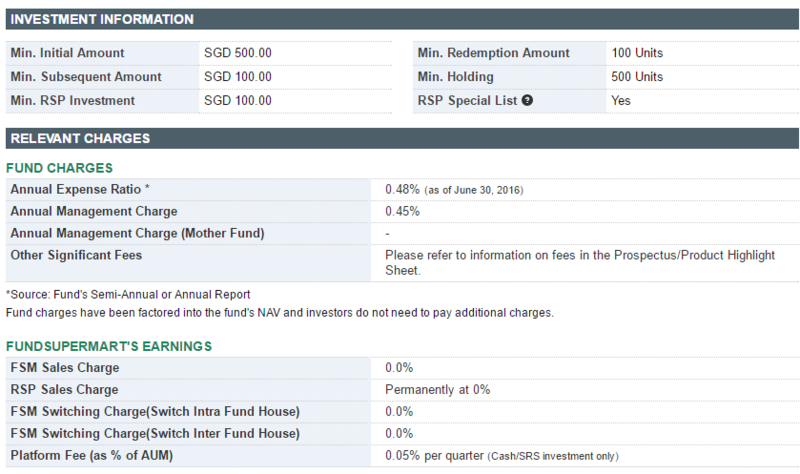 There’s also another MMF — Fullerton SGD Cash Fund — whose returns are in-between Philips MMF and Lion Global MMF. In recent months & weeks, its performance has been approaching that of Lion Global MMF, probably due to the increase in short term interest rates. The Fullerton MMF has annual mgmt fee of 0.25% (still high for MMF lah) but not all platforms carry it becoz it doesn’t pay trailer fees to distributors i.e. the platforms have a -ve direct return if they carry this MMF. E.g. Fundsupermart doesn’t carry this MMF. 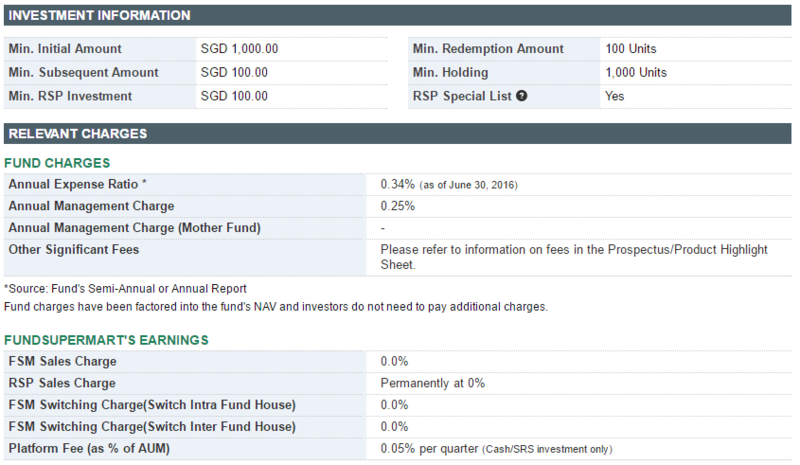 Disclosure: I use Fullerton SGD Cash Fund as part of my emergency fund. Hi Sinkie, I hadnt heard of the Fullerton SGD Cash Fund before, but taking a look at the (semi) annual reports, it seems the performance is less than 1% per year, both on a 1-year and 5-year basis. Arent you better off putting the money in a fixed deposit? I agreed with Sinkie. I don’t ever recommend FSM to people as they are bloodsuckers. Kind of sad you always recommend to use FSM over Dollardex/POEMS when POEMS and Dollardex are not leeching their custoemrs compare to FSM. Don’t know why you financial bloggers keep hyping about SSB like it’s the ultimate bond. Learn to open your eyes and see wider stuff. A good bond fund should go up in one straight line with very low volatility (<3). Not, if you are worried about them "living off trailer fees, and they might not maintain that stance forever," buy from them now rather than FSM, and when they do introduce platform fees or other crap fees, just transfer over to your banks for free. Hi Regular Person,Thank you for recommending the United SGD Fund Class A. In the past I have seen some of these short term bond funds but I would rather not recommend them at this point as in the past I have seen periods where they dip in the shorter term basis. I wouldn’t say I hyped up the SSB. I would say I try to explain to the public what SSB is about. Perhaps you are very wise and astute to find these info on your own thus you do not need “you financial bloggers” information on this. I will continue to recommend FSM. I think its a good platform consider I been on it for some time. I am a user and currently will continue to use it. The main reason is that I do not like to transfer here and there and decide to stick to one shop. I learnts about this bond fund from SMOL. He was talking about using it as parking place in some super old comments. If is good for him, is good for me. After doing my research, I know now why he uses this as his parking place. Well good for you. You are making iFAST shareholders richer. Hope you a shareholder :p For me, If any company is a blood sucker, they won’t get my money. Hence I keep the bare min in banks and park the rest elsewhere. 2) Always keep my options open. Whoever gives me best bang for bucks gets my money. Is that simple. For me, coming from Malaysia side, our FD rate is already higher than SSB so one of the reason we don’t really like SSB is we try to find something to match our FD rates in terms of SGD. 3.x% for board rates and 4.x% for promo rates. So looking at returns of 3.x%p.a “Pseudo FD” would be a better choice than 1.x% of SG FD or mere 2% of SSB. The only problem is RM is bloody weak. Please let your reader knows that FSM charges quarterly platform fees while the other 2 platform do not. I feel it’s fair that way. Let the market be the decider which is the better platform. Hi Regular Person, agreed that there are other platforms out there apart from FSM, which do not charge quarterly fees, but I guess there are reasons why customers continue to use FSM (I wouldn’t know, I stopped using them about 10 years ago!). Are you able to share the spreadsheet? Would love to use it to access suitability given my current expenditure habits and savings. Hi Eugene, which spreadsheet are you referring to?